So your nomination is in the Bubbly Upcomers, or maybe it’s a favourite that has been in the Top 20 Chart for some time. Now what? Well you want to keep it there don’t you? You want to see it rise up to the No. 1 spot and get as much airplay as it can. click the link and there you go, one vote, done and dusted. You only get one vote, so make sure you tell everyone you can think of to vote too. The vote page itself is fully automated and at the deadline of Thursday Midnight (UK Time) it closes and then collates the results, ready for the next evening when the Chart Show will be broadcast. Obviously, you can’t vote for a nominated track until it has been passed by the Junta and added to the voting list – which will usually be five or ten minutes after the previous week’s chart has been announced in the Weekly Chart Show. Ok but the Locomotion was an unknown song once, who knows what might happen if your band or your favourite song is nominated for the Music World Radio Top 20 Alternative Chart. Here’s how you do it. Go to http://www.topchoons.com/nominate.html and scroll down to the form. Fill in the relevant details and upload an mp3 of the song or at least leave a url where we can download a copy from. Hit submit and ta da! Nomination winging its way to the MWR Junta to hopefully be included in the next Bubbly Upcomers selection. If you don’t want to use the online submission form then send all the details and mp3 by email to jax@musicworldradio.com. It will all get to the same place and the Junta will get the final decision. Just to make things clear though, no nominations will be counted as votes, if you want the band/song to move you have to cast your vote through the vote page and get your friends, family and fans to vote too. Votes are only counted once. Attempting multiple votes will only wear out your mouse. 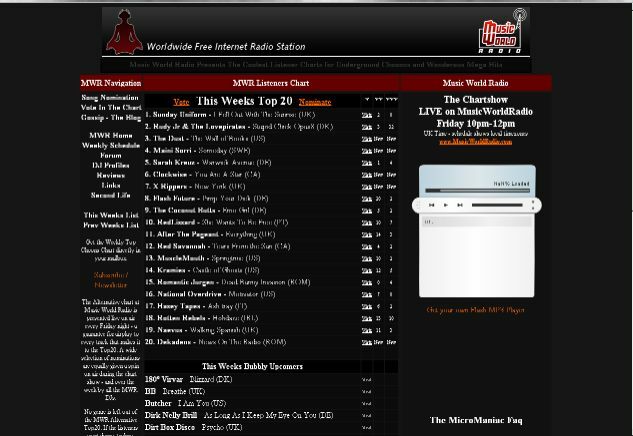 Music World Radio has been 3 years on air and in January 2010 created the very successful Top 20 Alternative Chart, voted for by listeners, yes 100% listener votes deciding who rises or falls. Nominations for bands already in the chart will be put in a holding folder until the band drops out completely. 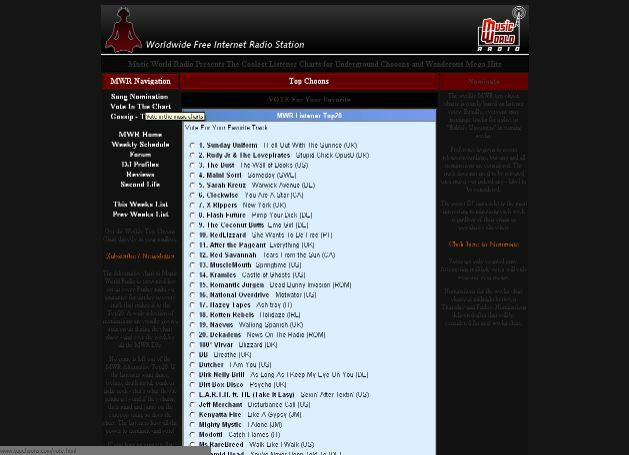 All music submitted goes into a package for MWR DJs to play on air, yes, Presenters do get requests to play chart entries on their shows. Submissions will not be used outside Music World Radio. 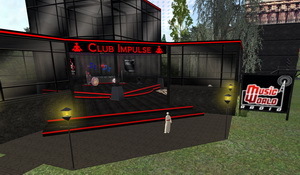 As an added bonus – the Auto DJ has all Chart Entries and Bubbly Upcomers uploaded to it for that week, in order to give as much out of hours airplay to the songs as possible. Incidentally, Number Ones are kept permanently on the Auto DJ. Band/singer interviews related to the Chart can also be arranged. I have heard a few accoustic artists, some famous, others not so. This album as a very dyamic warm sound in the recording. Although a solo album there are additional musicans making it a fine listen to the ears. This is all laid back music, very lounge, from an open mic night background. Various twin channel vocals, piano, sort drums and clean, well written lyrics. You sometimes here music like this and yes, maybe it does get a bit tedious after a few plays, but Dan crisp has got a fine voice, that captivates you, draws you in, makes you listen, which is the entire entice of the album. 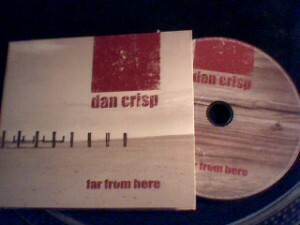 It starts off with the song hollywood and if you have never heard dan crisp before, you wonder whats going to come. Fantasic CD sleeve artwork, pictures of distance / man of his travels, which is what the album also projects, someone on a journey. Well song 10 maybe Journeys End, but thats not the end of the album, or the story and with some addition electric guitar introduction. What makes these songs stand out is the clear sung words, the way dan projects and a fine electric accoustic, which always has a warm feel to it when you hear one or play one. If you not into this soft accoustic music, i would say try it out, because i’m not into this all the time myself and it has certain mood all the way though the album. You maybe suprised. Aside from obvious accoustic artists that makes you think when you here this, some of this recording dynamics remind me of the song angels by Robbie Williams. Simon and Garfunkle might spring to mind, but its a different tone and sound. You are currently browsing the MWR Charts Gossip weblog archives for September, 2010.